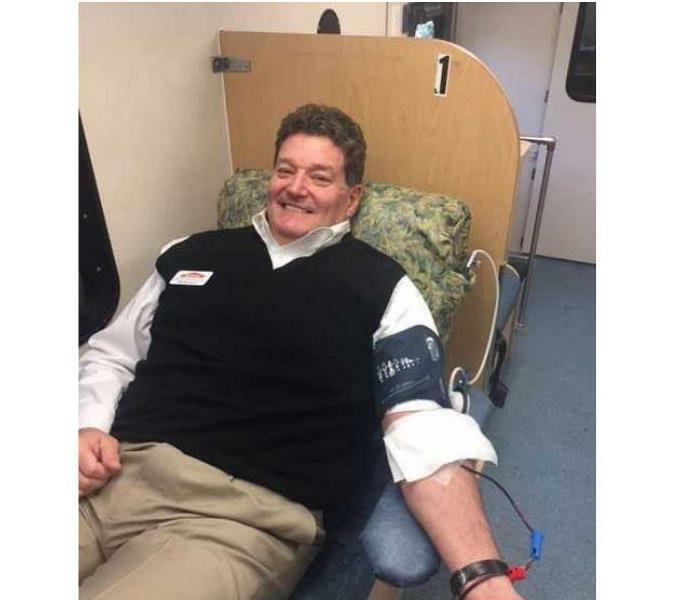 Phil Dumenil of SERVPRO of Edgewater/Deale-Churchton/Lothian donated blood in Shady Side. The blood drive was put together because Anne Arundel Medical Center Hospital is currently experiencing a critical blood shortage. 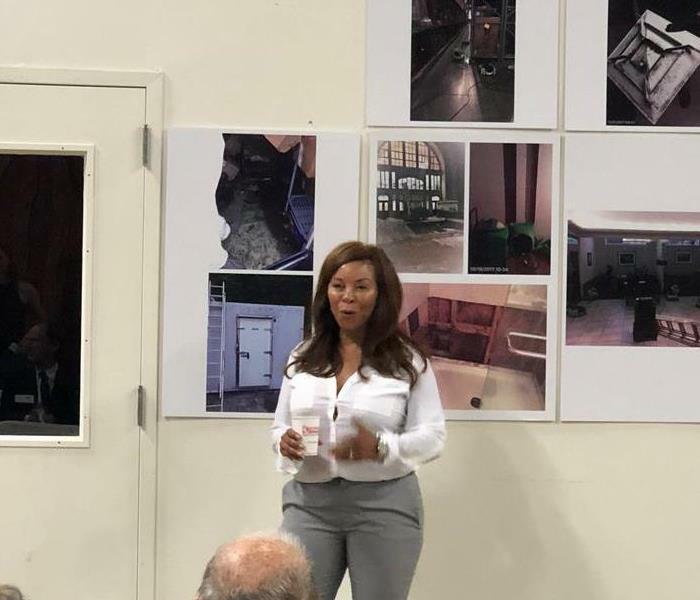 On January 17, Trish Turner represented SERVPRO of Edgewater/Deale-Churchton/Lothian at the 20th Annual Legislative Breakfast. 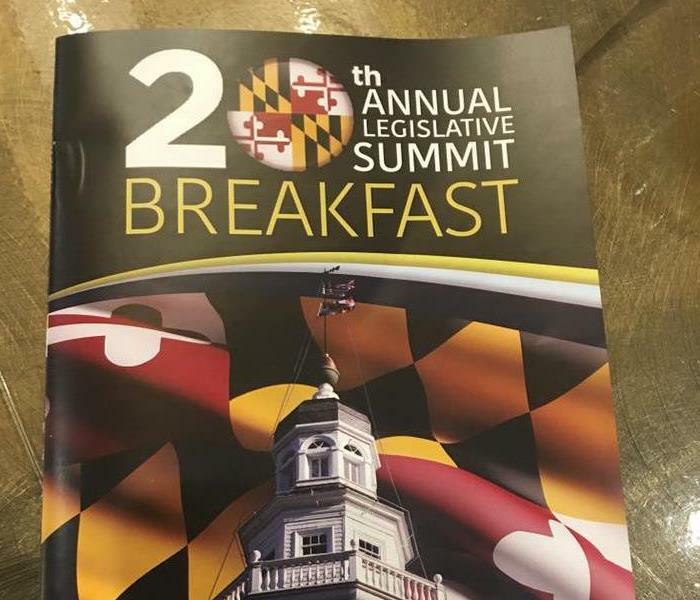 Trish enjoyed breakfast with our elected officials from Maryland State, Anne Arundel County, and Annapolis City government. 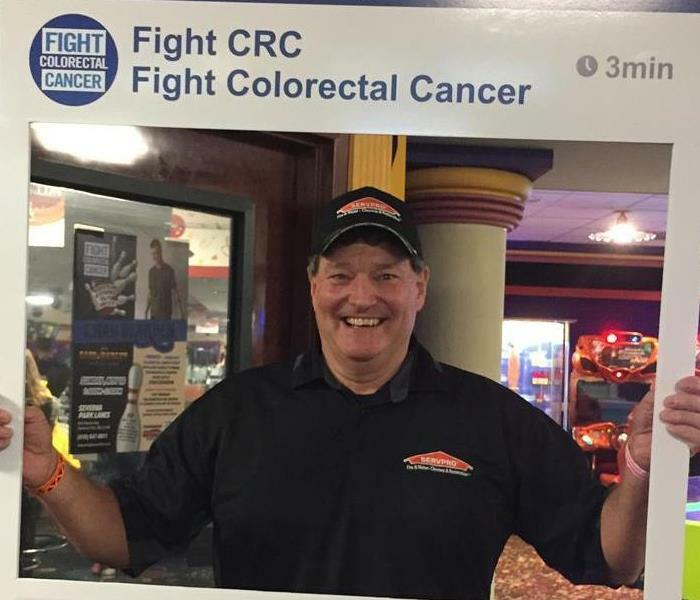 Phil and his bowling team attended the Strike out Cancer with country music star, Chad Bearden, on November 18. This private event was held at Severna Park Lanes with food provided by Outback Steakhouse. We are proud to support our community in this event. Team members from the SERVPRO Edgewater / Deale-Churchton / Lothian Sales and Marketing team attended the November 8 SERVPRO of Maryland Sales and Marketing Meeting. We pride ourselves on providing education to all members of our staff. 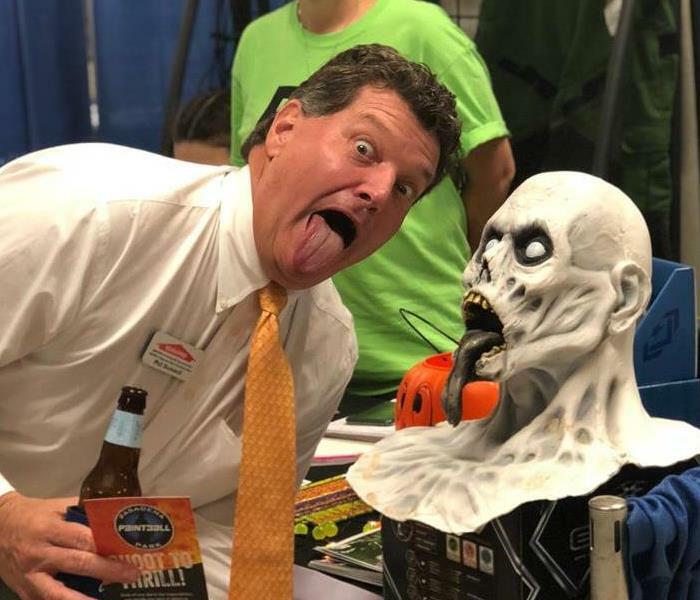 Phil had a super time networking with some zombies at the Pasadena Business Association trade fair on Thursday, October 11. 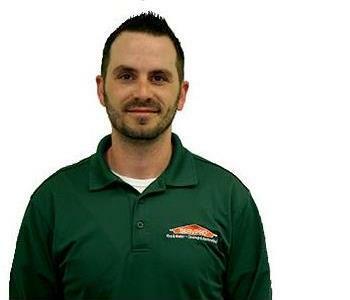 SERVPRO of Edgewater/Deale-Churchton/Lothian was granted 2 free tickets to the event because of our involvement in the association. 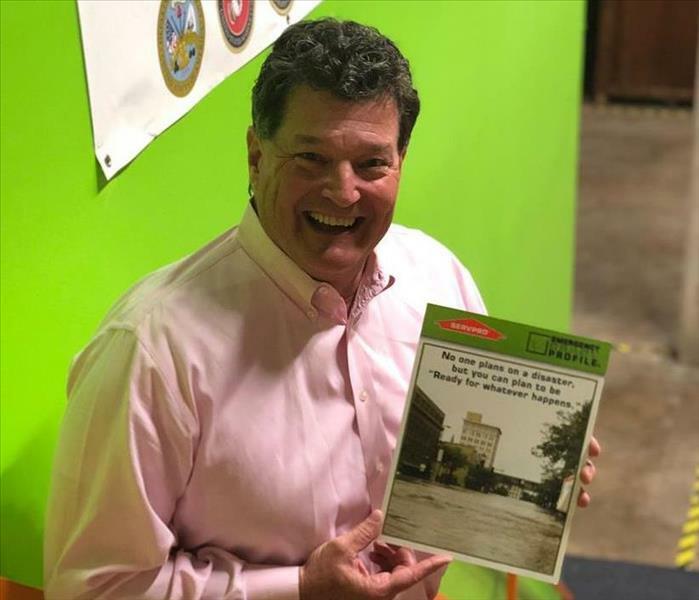 SERVPRO of Edgewater/Deale-Churchton/Lothian hosted the Anne Arundel Commercial and Industrial Association October meeting. Trish and Phil attended the 2018 Hospice Cup Regatta on Saturday, September 15, 2018. The Hospice Cup Shore Party was great fun and our team even to a few spins on the dance floor. We are happy to support Hospice Cup Annapolis. 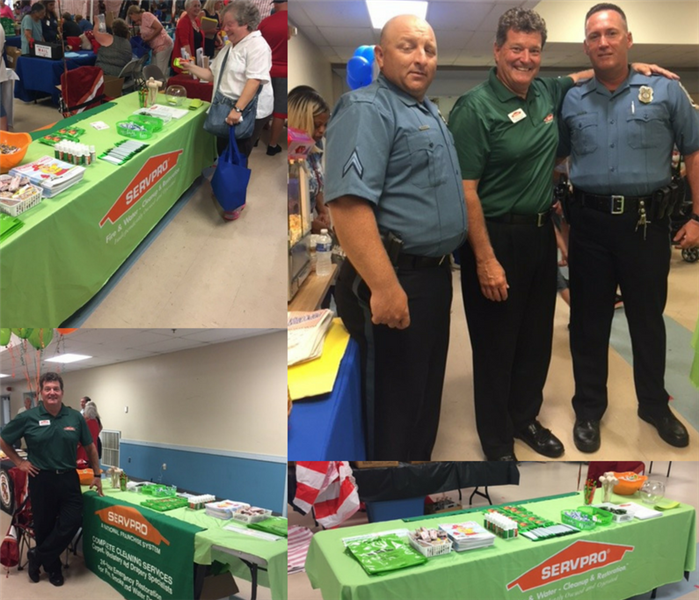 Phil Dumenil of SERVPRO Edgewater/Deale-Churchton/Lothian participated in National Night Out at the Earleigh Height Fire Station. We are proud to support the relationship between our first responders and the community. 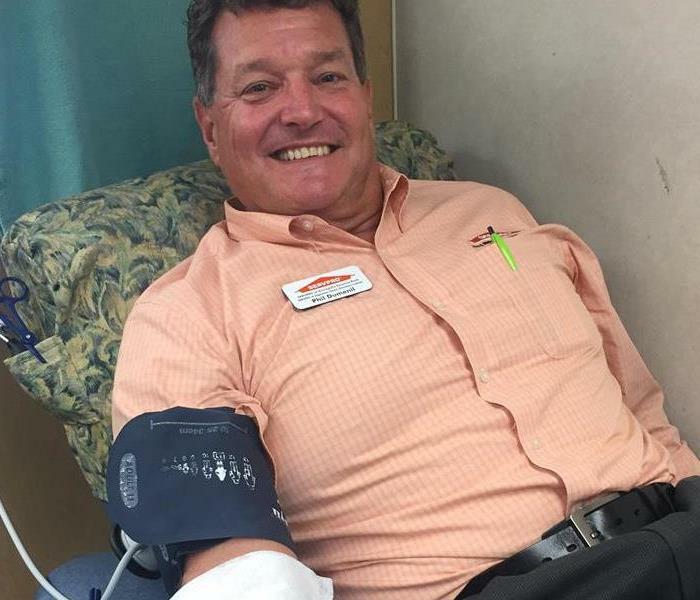 Phil Dumenil of SERVPRO Edgewater/Deale/Churchton-Lothian donated blood for the Farmer's Insurance Blood Drive in Arnold Maryland. Blood donations were donated to our local Anne Arundel Medical Center. Phil is the man! Trish Turner of SERVPRO Edgewater participated in the South County Shred & Food Drive in May 2018. 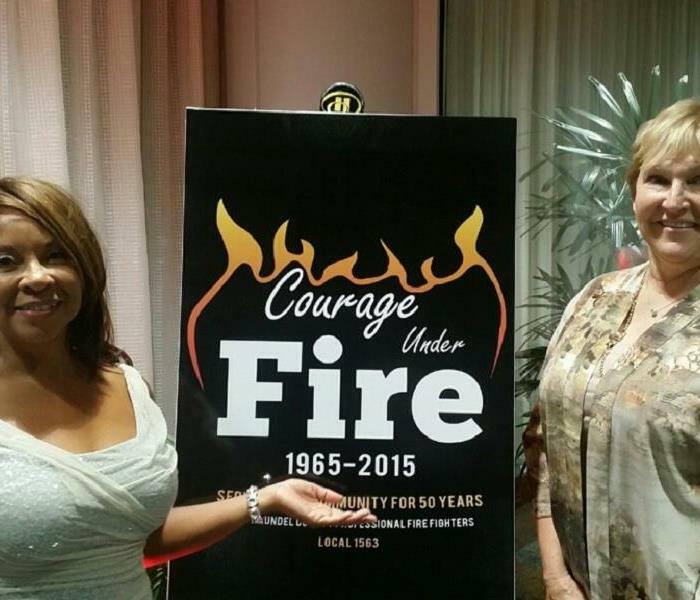 The International Association of Firefighters - Local 1563 celebrating 50 years of Courage, Dedication, and protecting our community! 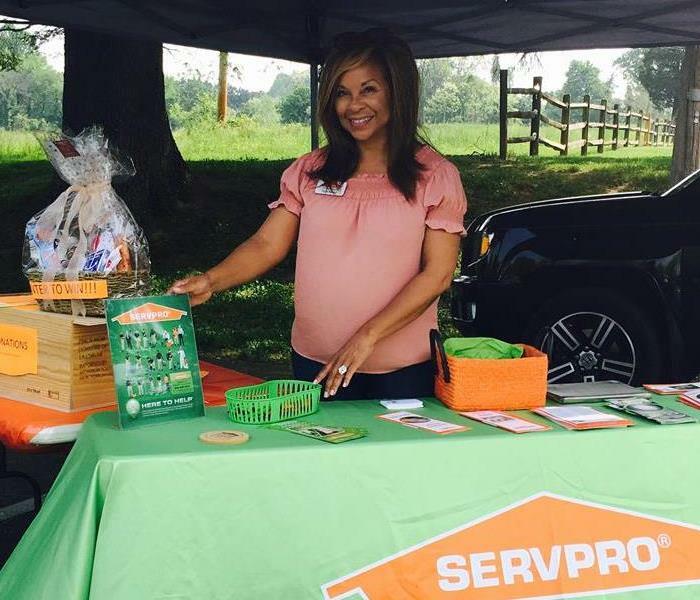 SERVPRO was a proud sponsor of Anne Arundel Medical Center’s 26th Annual Golf Classic at Chartwell Golf and Country Club to benefit patient and family-centered care at AAMC.